everyday. He climbed to the tree top, ate the apples, and took a nap under the shadow. He loved the tree and the tree loved to play with him. 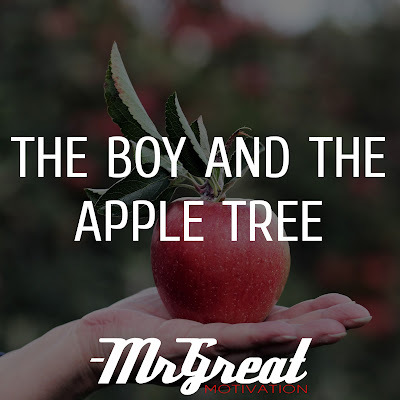 Time went by, the little boy had grown up and he no longer played around the tree every day. “I do not have time to play. I have to work for my family. We need a house for shelter. “Sorry, my boy. But I do not have anything for you anymore. No more apples for you”, the tree said. “No problem, I do not have any teeth to bite” the man replied. “No more trunk for you to climb on.” “I am too old for that now” the man said.